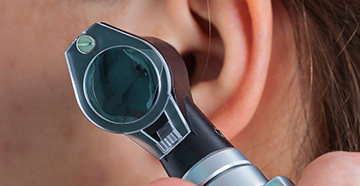 Newbury Park Hearing Clinic | Audiologist | Second Chance Hearing, Inc.
Second Chance Hearing, Inc. has made it a mission to help patients from Newbury Park and beyond who are hearing impaired to receive the best treatment with the best tools possible. We strongly emphasize the need to improve the quality of life for our patients and we do so with our experience, expertise and determination. We proudly accept patients from the entire Newbury Park area. If you are in need of an audiologist, we have plenty of experienced and friendly professionals at our hearing clinic. We stay up-to-date with state-of-the-art technology as well as a facility that can foster effective patient treatment. We want to keep you connected on an auditory level with those that you love. Not being able to hear can greatly affect how much you do in your everyday life. It makes us very proud to be a part of a patient's progress towards improving his or her hearing through the innovative tools that we offer. With Second Chance Hearing, Inc.’s convenient location near Newbury Park, we are able to provide for a variety of services, including personalized evaluations that will test your hearing and determine if hearing aids are an option. When you arrive in our office in Westlake Village, you will be taken to a sound booth, which will help us test your hearing abilities as well as determine if you are able to understand different elements of speech. If you are in need of further testing, these will be addressed so that we can assess your options for treatment. We practice this process in order to fully provide you with optimal service that may require other necessary treatments and advisement of therapy. 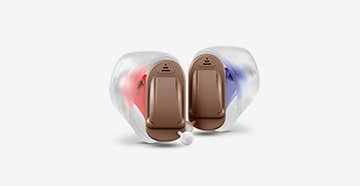 Our goal is to not just prescribe you hearing aids and let you walk out the door. 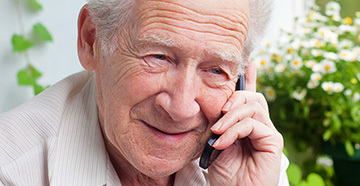 Patients will receive personalized treatment that is specific to their hearing needs. Our office also provides counseling so that we can educate our patients throughout their entire treatment. Each patient will receive an initial consultation with a professional to determine the next steps for treatment. From here, patients will get scheduled for any necessary follow-ups that best fits their schedules. We are very considerate and are aware of the need for flexibility when scheduling for appointments. This is why we offer many options that meet a patient's availability needs. We are committed to finding you a hearing doctor that will effectively treat you at our office. We know how important it is for you to find treatment that is not only going to help you, but a team of professionals who will be by your side through the process. Our knowledgeable and friendly staff is available to schedule you for initial consultations or follow-ups in a timely manner. At Second Chance Hearing, Inc., we make it our life’s work care to offer meaningful solutions for hearing loss. Second Chance Hearing, Inc. accepts new patients from Newbury Park. We want to work alongside you and give you the best treatment available. Call us today so we can help with increasing your livelihood and opening up your ears to really listen to everything around you. Let us help you get your “second chance at life.” We are proud to be able to serve our community in the Newbury Park area.